Virtual teams are the way of the future. Slowly but surely, businesses of all sizes are waking up to the tremendous potential that remote hiring brings. When location itself is a non-factor, a business can hire the best from anywhere around the country, indeed the world. It works well for employees, too. People are increasingly insisting on work-life balance in their lives, and no one is a fan of rushed mornings, daily commutes, or being chained to their desks for long hours at a stretch. According to at least one report, millennials prefer working remotely. Digital nomads dislike the conventional way of working and rely on remote work to earn a living as they travel around the world. But managing virtual teams brings with it its own set of challenges. You may be a traditional business with a few virtual employees, or an entirely virtual company. Regardless of whether you are fully or partially virtual, here are some of our tried and tested tactics to streamline work across continents and time zones and make sure the employees remain happy and motivated. This is the biggest challenge in managing virtual teams. Your team is not physically present for you to monitor. And employees don’t like being frequently interrupted via emails or chat so that you can learn the status of their work. Putting structures in place can help things move along smoothly, reducing frustration on the part of the employer while providing clear guidance to the employees. Productivity tools such as Trello, Asana, Basecamp, and ClickUp are proving to be wildly popular for a reason. These tools are rich in features and easy to use. With Trello you can create personal boards, add members, assign projects, and set due dates. All the team members can access the dashboard and be apprised of the changes. Files can be uploaded for reference and conversations carried out around projects to make sure everyone is on the same page. Team members are notified when they are mentioned in a task, which saves time since you don’t have to switch to a messaging app or shoot an email to get the point across. A Kanban-based tool like MeisterTask can further simplify tasks and help with team management. This feature-rich project management tool is aesthetically appealing and gets a ton of work done. Creating tasks, assigning them, and following up on the progress – all is smoothly executed. Members can convert tasks into discussions of sorts by uploading their files as relevant reference material or personal input. It’s easier than ever to see who has been assigned what and the status of their work. Its integration with widely-used cloud storage apps such as Dropbox, Box, Bitbucket, and Google Drive makes it even more useful. For those who believe in the power of mind maps will be happy to know that MeisterTask is brought to you by the same folks who gave us MindMeister, the award-winning mind mapping software with fans across the world. Brainstorming across teams and locations is easy, fun, and productive with MindMeister, and now it comes integrated with MeisterTask, so that the ideas produced in the mind maps can be right away moved to the project management tool. These ideas will show up as tasks in MeisterTask for all to see and for the assigned people to act upon. A good project management tool functions in a way that imparts clarity to employees and promotes accountability. With all the directions clearly presented on the dashboard, there is little scope for excuses or miscommunication. More importantly, it helps teams take their projects forward in a cohesive manner. Do your research before deciding on the tool for your remote team but do get one. Meetings are even more important when dealing with virtual teams, as that may be the only time you get together, so to speak. This is a very important (and humanizing) step in the management of remote employees, or you risk alienating them. Besides, regular meetings also finetune matters and help keep things on track. They may also be the one time when team members actually speak to one another. However, to make the most of these meetings you need them to be guided by clear agendas, which are also clearly communicated to the participants. Unplanned, ad hoc meetings only lead to more confusion. A tool like Pinstriped can be of immense help. It helps you prepare for the meeting by creating an agenda and bringing together all the relevant content so everyone has the information they need to be ready for the meeting. The tool also helps you run the meeting, as it makes it easy to keep the meetings on track, record actions and decisions and share the information with the participants so that everyone is in the know from start to finish. Explore similar tools to find your best fit. You don’t necessarily need a tool in this regard, it’s just that having a good one makes it so much easier for everyone involved. And think about all the time you would save! It is said that families that eat together, stay together. One could say that companies that brainstorm together, grow together. Why not rope in everyone when looking for breakthroughs? Whether it’s about designing a new website, a new logo, or planning a new campaign, there is something about visually laid out content that triggers insights and ideas. Online whiteboard tools such as Stormboard or RealtimeBoard can be helpful for businesses that need their team members’ input on a regular basis. 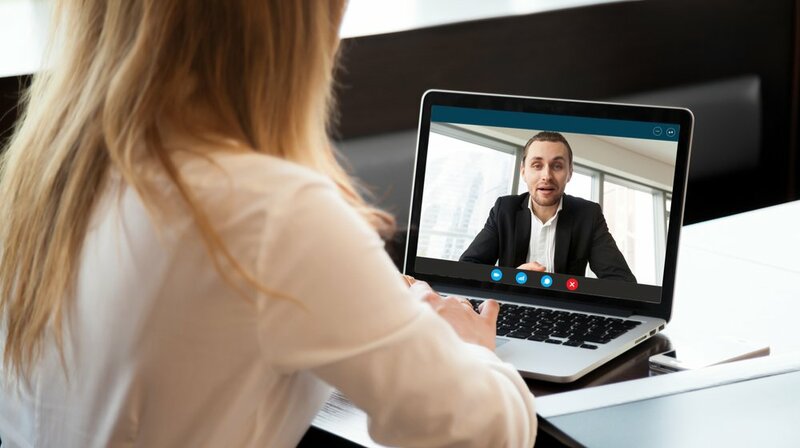 These tools allow for remote collaboration where individuals can access the whiteboard from various locations and contribute ideas as if they were in the same room. Editing and tweaking concepts and designs is straightforward, as is having related discussions. It’s a fun and productive exercise for everyone involved. Managing any team is a challenge, whether physically or virtually. But with a little bit of planning and the right tools in your arsenal, you can harness the full potential of your remote team. Employees who feel useful and appreciated are motivated to give more. It’s a win-win for everyone involved.